All too often, emotional well-being and mental health are overlooked amidst seniors, but they can affect our health in the same ways as physical ailments. Being able to identify the warning signs in those at risk of loneliness, and tending to them, can help sustain the cognitive processes and life of you or your loved ones. While some alone time can be therapeutic, too much can lead to devastating results. A common result is the sensation of social isolation, a heightened feeling of loneliness that forms from a lack of human contact. When overcome with feelings of social isolation, the body unleashes an extreme immune response, a cascade of stress hormones and inflammation. 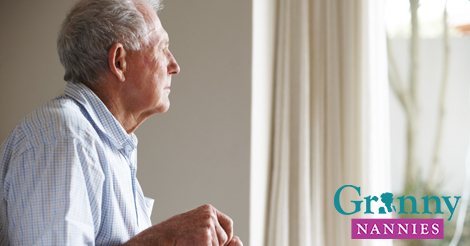 Studies have found that socially isolated elders are twice as likely to die prematurely. Loneliness can also lead to impaired immune function and boosted inflammation, which are related to arthritis, type II diabetes and heart disease. Exercising regularly. Group exercise programs or regular gym visits open up opportunities to be around other people and provoke conversation. Getting the right equipment. Missing the majority of a conversation due to hearing loss can drive seniors to retreat from social activities, for example. Purchasing or wearing hearing aids, or whatever assistance devices one may need, can help counteract this common cause for isolation. Volunteering. This is a surefire way to interact with supervisors and other like- minded humanitarians. Companionship. Knowing there is someone who looks forward to eating meals together or watch TV shows can dramatically increase the disposition of you or your loved one. Transportation. If an inability to drive has prevented you or a loved one from engaging in social activities, Granny NANNIES act as a chauffeur. Safety and supervision. If a fear of falling is preventing any outings, caregivers are there to lean on. Granny NANNIES offers home health care services 24 hours a day, seven days a week, or as needed, for all ages and levels of care. Founded in 1990, Granny NANNIES maintains a commitment to excellence and a strong dedication to treating clients with the highest level of respect and dignity. For quality, trustworthy, reliable and affordable care, Granny NANNIES is there. For more information and a home healthcare agency that provides assistance beyond your front door, call 800-316-2669.